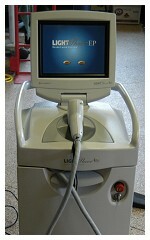 Sell Your Used Cosmetic Lasers and Used Ophthalmic Lasers Here! Do You Have Aesthetic Equipment, Cosmetic Lasers or Ophthalmic Lasers To Sell? Get CASH $$$$ - Post your used aesthetic lasers, used ophthalmic lasers and aesthetic medical equipment here! Your ad will appear on this Web site immediately after your post - be sure to include a nice picture! Matrix, Inc. purchases cosmetic lasers and other medical equipment for our refurbishment process. You may have just the laser we are searching for! Through our nationwide network of physicians and manufacturers we are able to offer affordable solutions on the best equipment in the market - whether you are selling or buying LOOK at our various lists inventory. Matrix rates the equipment for the manufacturer, the age, model, condition, location and asking price and composes a full and comprehensive report. Every piece of equipment we offer complies with industry and government standards. Please list your equipment below, filling in all the details so we may complete our evaluation. Please add in the "Aditional Ccomments" box the new or replacement equipment you are considering. We often purchase a piece of equipment via specific request from a client. Let us make you a generous offer and help with that trade up! Better yet - Call us right now and a member of our staff will immediately arrange to purchase your laser and recommend a replacement that suits your needs and budget. Call 1-435-649-6836 in the U.S. or 1-856-797-0048. CASH for your medical lasers. Trade up - Lasers in stock NOW! Upload a picture of your equipment if you are serious about selling! A picture is worth 1,000 words. Don't short change yourself! Let your picture do the talking. Remember, everyone looking at your ad will see your picture - take a good one and make sure it is oriented properly. ALSO, make sure the picture upload is a .jpg or a .gif. - other formats do not work. You may have to convert your current picture to one of these formats to meet our standards. Simply press the "BROWSE" button and locate your best equipment picture on your computer hard drive. And don't forget, potential buyers want to see a picture of the real thing - YOUR EQUIPMENT - not a scanned beauty shot from a magazine advertisement! You may also send us additional equipment pictures after this form has been sent, you will see instructions. Enter any additional information that may be pertinent to the sale of this equipment.